* New York State, Birth Index, 1881-1942; indexed database with record images, ADDED 7/23/2018. 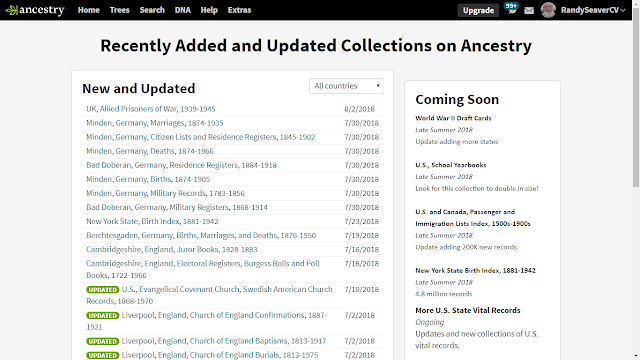 Note that this collection has an ADD date of 23 July, but it was not on the list on 28 July. By my count, there were 9 NEW collections ADDED this past week, per the list above. There are now 32,708 collections available as of 4 August, a decrease of 10 from last week. 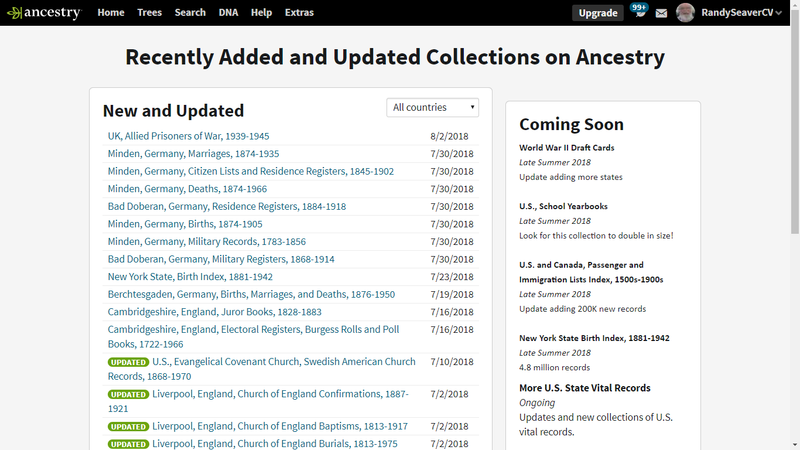 So Ancestry added 9 and removed 19 record collections this past week.